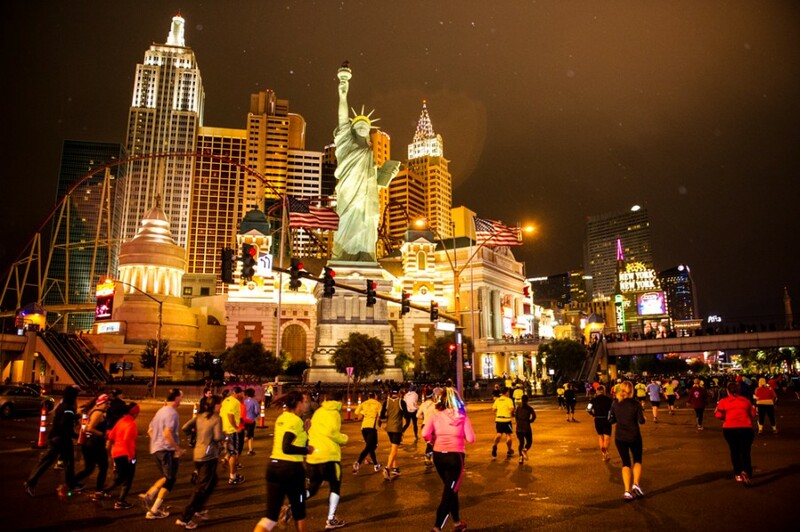 Disclaimer: I received a free entry to the Geico Rock n Roll Las Vegas Half Marathon as part of being a BibRave Pro. Learn more about becoming a BibRave Pro (ambassador), and check out BibRave.com to review find and write race reviews! New start line and on-course tribute – Due to the recent tragic events, RnR organizers took some steps to ensure a safe event. This included moving the concert venue (TBA) and start line, which is now by New York, New York. The first 2.5 miles of the course will also not feature live bands or amplified music as a way of honouring the victims and families that were affected by the shooting. 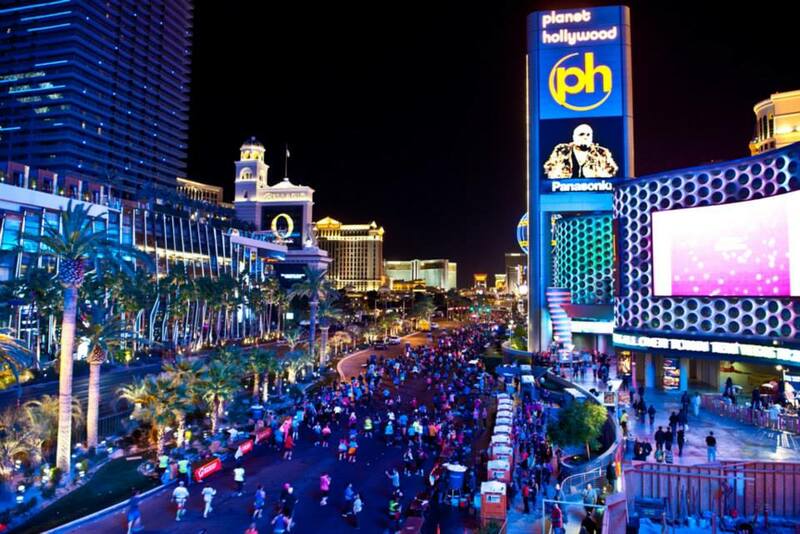 I commend race organizers for their quick decisions and coming up with ways to show that we are all #VegasStrong. It shows that they care and I appreciate that, thank you. They are also holding a fundraiser to support the Las Vegas Victims’ Fund so if you wish to donate, you can do so here. For more updates on the race, keep an eye on their Facebook page, your email inbox or their blog. 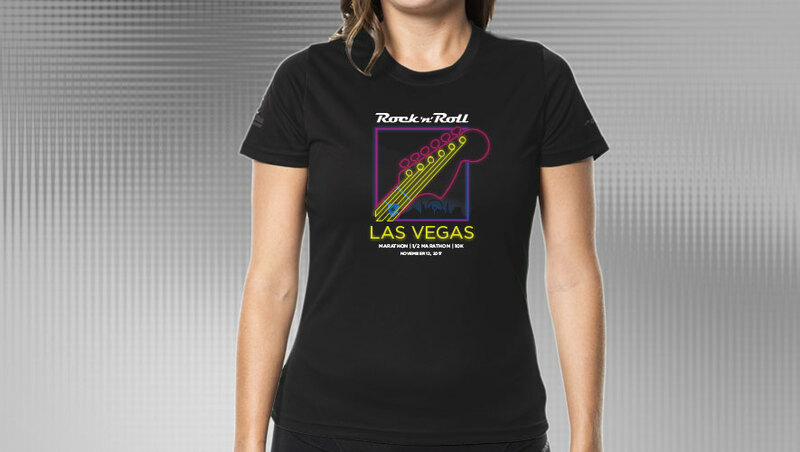 The Runners Perks are now available – RnR has some deals for us runners and you can find them here. 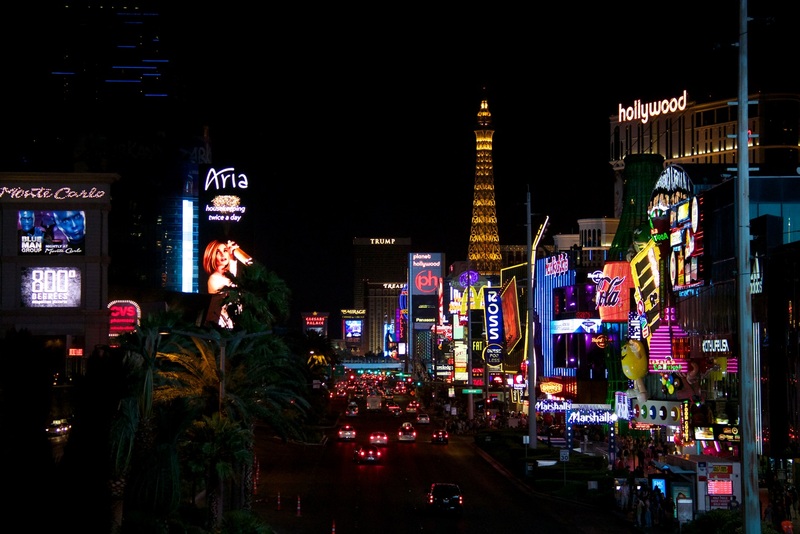 Lots of discounts to be had including Cirque du Soleil shows, restaurants, night clubs and even the monorail. 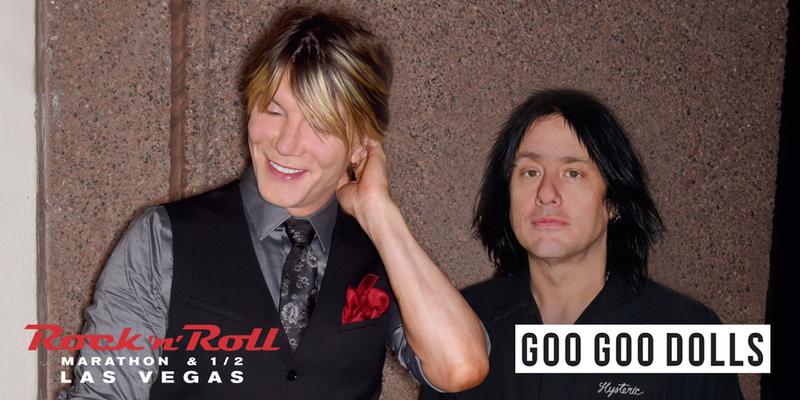 Get ready to rock out with the Goo Goo Dolls! – The marathon/half marathon headliners are the Goo Goo Dolls! It’s a throwback to high school, hope they’ll play hits like “Iris,” “Slide” and “Name.” Update: The Goo Goo Dolls concert is now on Saturday, November 11th at 7:30 PM across from SLS Las Vegas Casino. More details here. The medals are fantastic! – It doesn’t matter what race you’re running, you’re going to come home with an awesome medal. 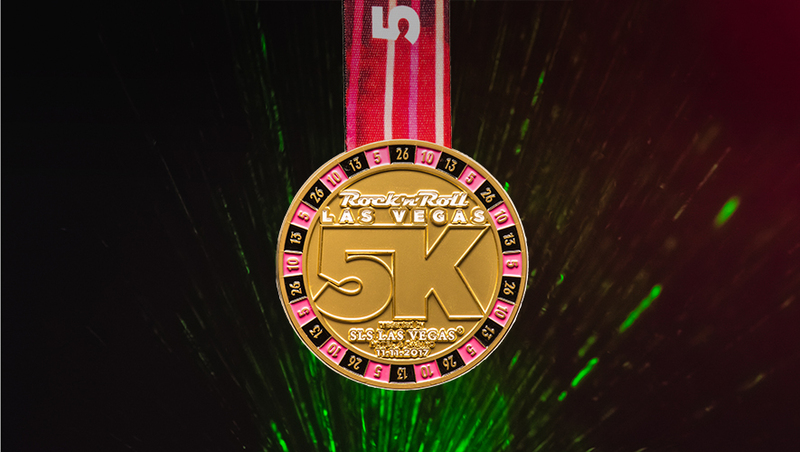 10k, Half and Full Medals… These glow and spin! 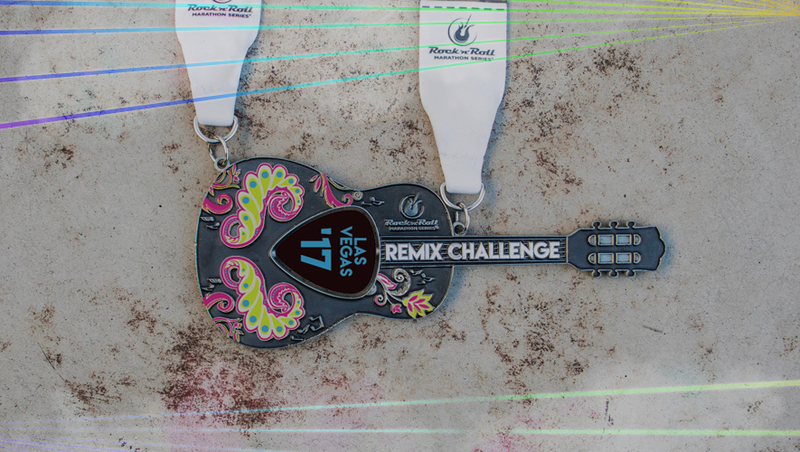 Complete the REMIX Challenge and get this nifty medal. The Finisher shirts and marathon jacket are on point! – I love the design of this year’s shirts and jackets. The neon guitar logo looks pretty cool and I see myself wearing this on my training runs. I’m a little sad I’m not getting the jacket since that’s for marathon finishers only. I can still admire it though!